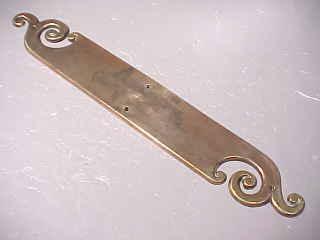 Price Is For This Long, Attractive Design, Rose Brass Push Plate - Only One Available - Appx. 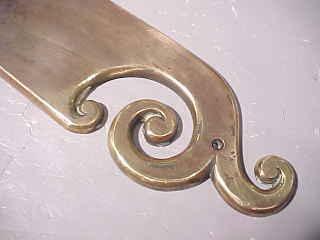 19 3/4" Overall Length At Longest Points x 2 15/16" Width - Mounts By 4 Screws Into The Front Of The Plate - Has Some Tarnish Discoloration Near Middle - Very Unusual Plate That Displays Well - Please Email Or Call Us For The Shipping Cost, Before Submitting Payment - Purchaser Pays Shipping. Items Similar To "Push Plate"